The Builders Notebook Plan Room & Trade Journal is located in Downtown Santa Barbara. 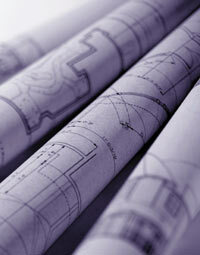 Our plan room offers members more projects than any other single plan room in our coverage area. Our online plan room software helps contractors gain access to a comprehensive list of projects bidding along with plans & specs. We save contractors time and money by placing all the bidding opportunities and documents in one centralized location. Our service is NOT franchised, offering all members friendly and personal service! Online Plans & Specs, Bidders List, Addendas, Bid Results, etc. Wholesale Pricing: Business Cards, Flyers, Brochures, etc. Compare our site to FW Dodge, California Builders Exchange BX, iSqFt, Construction Monitor & Bid Clerk. *Note: Materials Suppliers and some other construction types are not required to have a license.